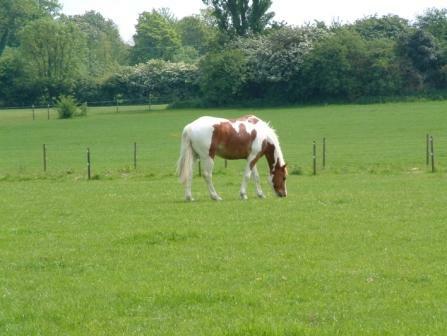 70 acres of well fenced permanent pasture incorporating a farm ride and fully equipped show jumping field with ditches and derby banks. 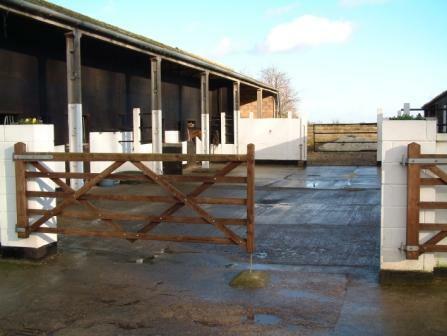 40 purpose built stables 12' x 12' with concrete floors, secure tack rooms and floodlit yards. 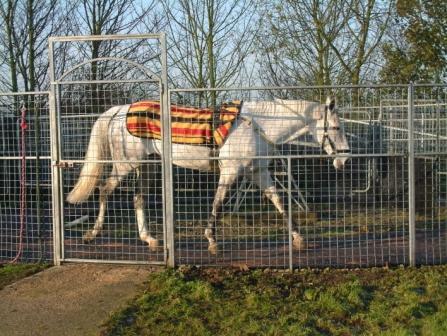 4 partition horse walker with rubber floor available for use with a small fee. 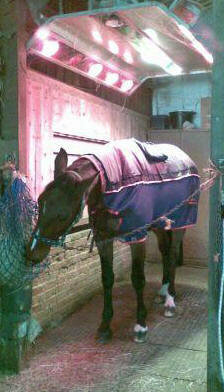 Solarium, fantastic for warming, drying off and getting the blood going! The yard also has an Activo-Med therapeutic rug which is a very useful piece of equipment and can be programmed to individual requirements. 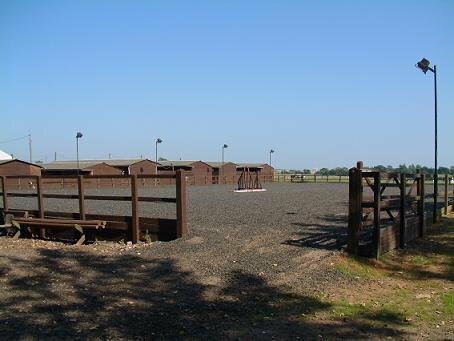 We have 2 riding arenas. New for 2014 is a 50x25 arena with Softrack surface, pictures to follow. Pictured is the 50x30 sand & rubber main arena which is open for use and floodlit.